Students first learn about the Mauryan Empire and its greatest ruler, Ashoka. Then, they turn to the later Gupta Empire, the source of much of India‚Äôs culture today. Next, they use a Venn diagram to compare and contrast the two empires. Finally, they write about which empire they would rather rule, and why. 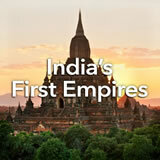 In this experience, students first learn about the Mauryan Empire and its greatest ruler, Ashoka. Then, they turn to the later Gupta Empire, the source of much of India’s culture today. Next, they use a Venn diagram to compare and contrast the two empires. Finally, they write about which empire they would rather rule, and why. 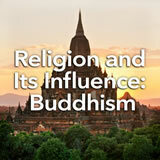 Use The Maurya and Gupta Empires in the Teacher Pack as a detailed background source throughout the experience. Describe the social, political, cultural, and economic development in ancient India. 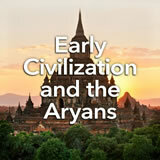 In this experience, you will learn about two ancient Indian empires that came after the Vedic, or Aryan, age. 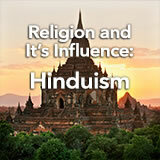 The Mauryan Empire and the Gupta Empire helped build the foundations of Hindu culture. Imagine that you are the emperor of an ancient empire. In the past, you won great victories in battle, expanding your realm. But then, seeing the destruction your wars had caused, you were struck by feelings of guilt. What would you do? In this experience, you’ll learn about such a ruler, his empire, and the empire that followed his. If you were a ruler who had conquered lands in war, how might you make up for the destruction that you caused? Lead a classwide discussion based on student responses. You may want to talk about both past and present wars. 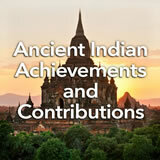 The Complete List of Learning Experiences in Ancient India Unit.